Eating is more than just ingesting food, and cooking is more than just preparing meals.  Together, they represent a social event that unites people across borders, cultural groups, generations and viewpoints. Cooking is part of any busy, colourful life. 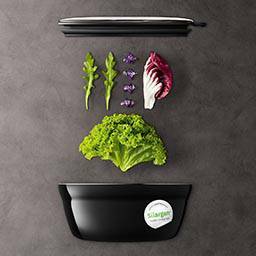 Since the Silit brand was introduced in 1920, we have been developing products that make cooking a simpler, more beautiful, quicker and more sustainable experience. In doing so, we have always focused on the needs of our customers. With precise, Made in Germany workmanship and the highest standards when it comes to function, ergonomics and aesthetics. This is the basis of our authenticity. So over more than 90 years, Silit has become a brand that people around the world are happy to trust on a daily basis. Silargan® is the perfect material for everyone who likes to cook naturally with authentic-tasting results. Developed by experts, Silargan® preserves the full taste and natural aroma of every single ingredient. Silit has therefore caused a minor revolution in the cooking world. And that’s what makes a culinary expert: a blend of knowledge, experience and ground-breaking innovations. For everyone who wants to wholeheartedly enjoy the full flavour and natural aroma of the ingredients used in cooking, Silargan® is the perfect material. 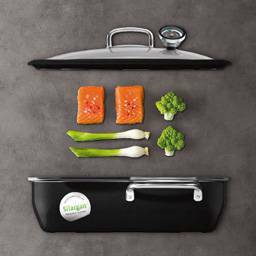 The unique functional ceramic with its non-porous closed surface is both cut- and scratch-resistant and sets new standards for health-conscious cooking. So that food naturally tastes better, Silargan® leaves nothing to be desired and makes no compromises: With a nickel-free surface. 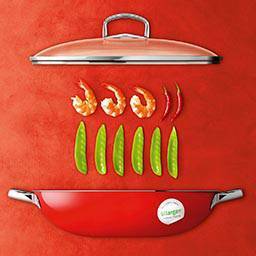 With quick heat conduction and optimum heat retention for energy-saving cooking. Available in lots of fresh colours to suit all tastes. Silargan® products stand for innovation and the ultimate “Made in Germany” quality, as well as sustainability and energy-efficient functionality. Because we are convinced of its high quality level, we offer a 30-year warranty on our functional ceramic. 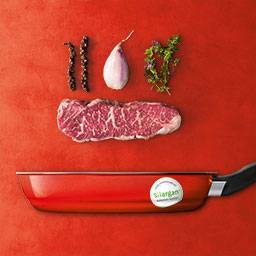 * The 30-year warranty is guaranteed for the inner and outer ceramic Silargan® surface of the cookware. The warranty only applies if the product is used as intended. More detailed provisions about the scope of the guarantee declaration and proper use can be found in the operating manuals enclosed with the products. Silit is a central theme in the kitchen. No matter what tasks need done in the kitchen, with Silit you always have the right solution. As reliable tools for every step of the cooking process, our products ensure perfect, authentic-tasting results. 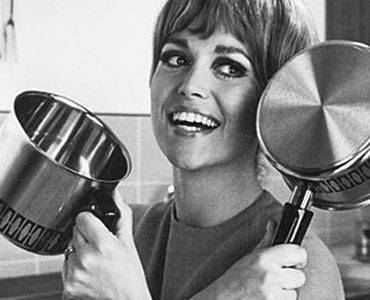 In 1920, the first cookware range was launched under the brand name Silit. 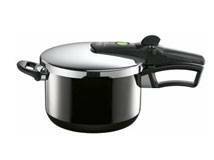 Seven years later, Silit brought out a global innovation: the Sicomatic® pressure cooker. We were able to adopt revolutionary approaches to cookware design. We developed the Silargan® functional ceramic using a completely new material to satisfy the demands of natural, authentic-tasting and health-conscious cooking. These examples alone demonstrate that the interplay between design, function and aesthetics is a common theme throughout our company’s history. That history has been shaped by our ability and desire to understand how people’s needs change over time and to serve them. For as long as people keep changing, our story will not be over. 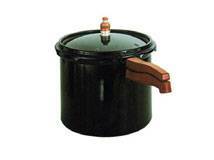 Pressure cookers - as innovative then as they are now. 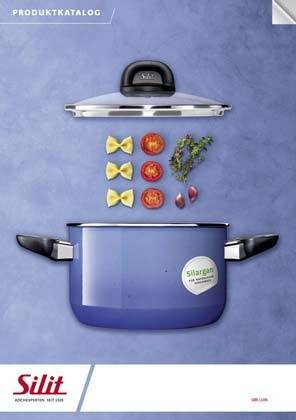 From the first universal cookware to the most modern pots and pans made from the unique material Silargan®, the Silit brand has always been strongly associated with a passion for cooking. The high-quality processing and an instinctive feeling for what customers want – high-quality cookware with innovative functions – impresses people all over the world. Pressure cookers are placed at the heart of Silit‘s product portfolio and have been produced by the brand under the name Siko since 1927. What does Siko stand for? 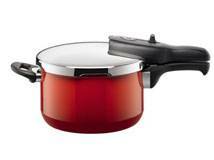 The name Siko actually means Sicomatic and has become a generic term for pressure cookers used in domestic kitchens. It is made up of the German words Sicherheit (safety), Kochtopf (cook pot) and automatisch (automatic). The word itself therefore summarises everything that‘s so impressive about pressure cookers. This is because they are safe to use and the cooking function works automatically after pressing just a few buttons. 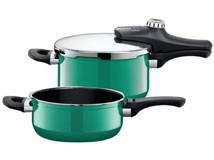 At first the main priority concerning pressure cookers was for people to be able to use them to prepare a meal quickly. Design was therefore less important than function. But it had a huge potential for development. 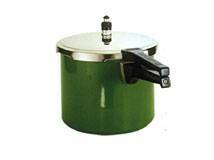 Over time, Silit pressure cookers became colourful and more decorative. This was possible due to the use of special materials, and the spectrum of colours proved an inexhaustible source of new colour variations. But things kept on progressing from a technical perspective as well. 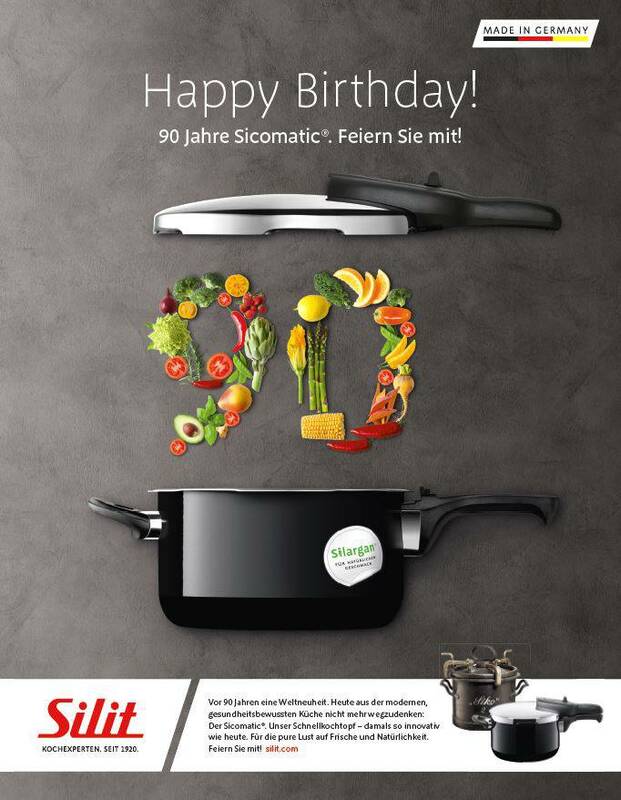 So in 1975, the first pressure cooker in the world with the control unit in the handle was born: the Silit Sicomatic® S. Ten years later, the Sicomatic® L burst onto the scene with a valve which did not require any maintenance, and some years after that the Sicomatic® T impressed with its ease of use, attractive design and was also the first to be produced with the new material Silargan®. The latest top model, the Sicomatic® econtrol with detachable handle, has been on the market since 2010. It features an innovative single-hand spincontrol by which all important functions such as the opening and closing of the pot as well as the setting of the cooking stages can be operated comfortably and in the shortest time possible. The pressure cookers of today are no relics of a bygone era. They are currently experiencing a revival – and quite right too, since they are the ideal partner in the modern world we live in today. Pressure cooking means being gentle with those important nutrients and vitamins. It also means that you can cook a tasty meal from healthy ingredients in the shortest possible time whilst still saving energy. And what‘s more, all pressure cookers are Made in Germany. 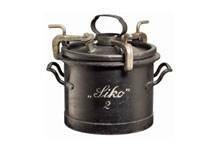 „Siko“: The first pressure cooker for the private household. Die first Sicomatic® with a middle valve. 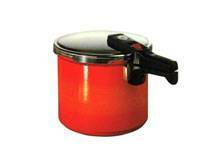 Silit pressure cookers became colouful and more decorative. 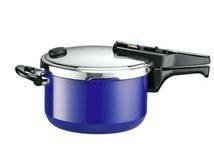 Sicomatic®-S: The world’s first pressure cooker with integrated handle unit control. 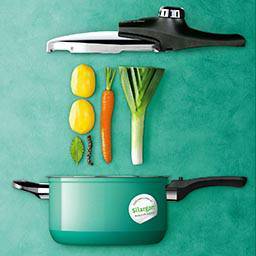 Sicomatic®-L: The first pressure cooker with maintenance-free valve. 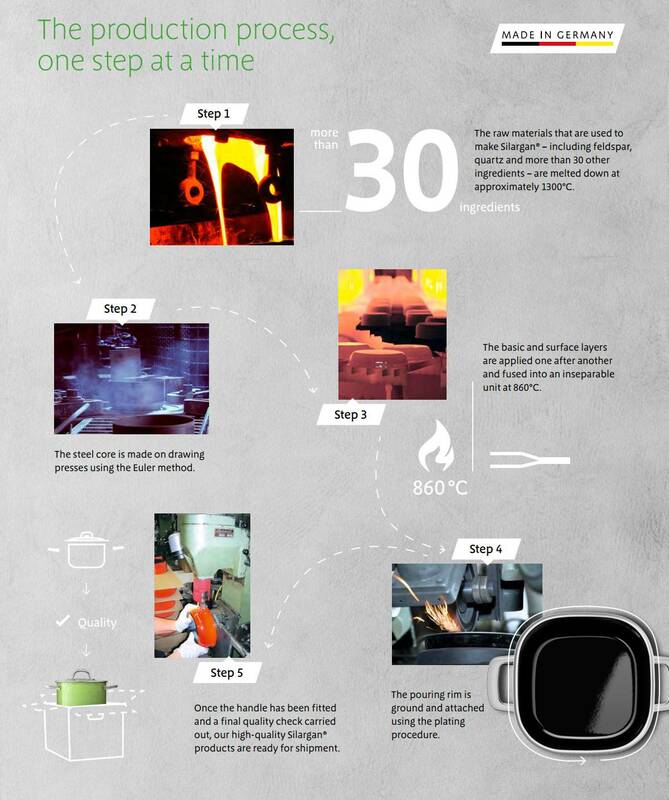 Sicomatic®-E: The first pressure cooker to be produced with the new material Silargan®. 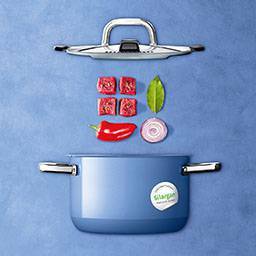 Sicomatic® t-plus: The first pressure cooker with three preset cooking levels. Sicomatic® econtrol: Lates model with three present cooking levels for slow cooking and time-saving speed cooking. For more than 90 years, Silit has been bringing high-quality products to homes both in Germany and all over the world. 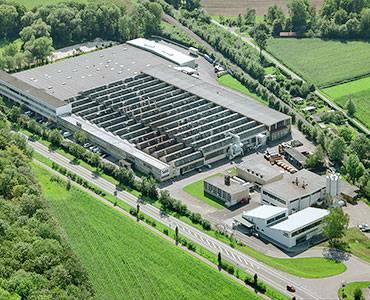 Our site in Riedlingen, with its years of tradition and history, ensures that these products also meet the highest quality standards. Close collaboration with experts in design, function and production guarantee the brand’s innovative strength. The fact that Silit has been setting quality standards for decades now is also thanks to the employees, who identify closely with the products. And their expertise, developed over many years with and through the site. It is only when all of these factors come together that products worthy of the “Made in Germany” quality seal exist. And that’s the case with Silargan® pots.